The Twelfth Night of the greatest writer in the English language and the world's pre-eminent dramatist, William Shakespeare will come for the first time on the Metropolitan stage. The setting of this play , occurs in Illyria from the early days of today's Albania and it is believed that he wrote about 1601- 02. 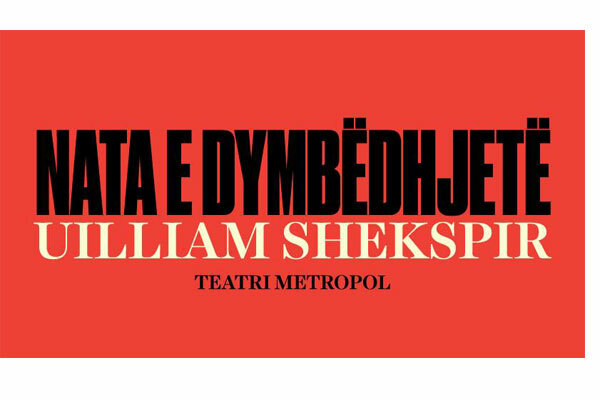 The Metropol Theater and the American director Justin Anderson will bring this play in another period , in Albania of the 1800s, the time of Lord Byron, Ali Pasha and the Marubi photographers combining authentic elements of the time and place where the events took place in music and costumes.